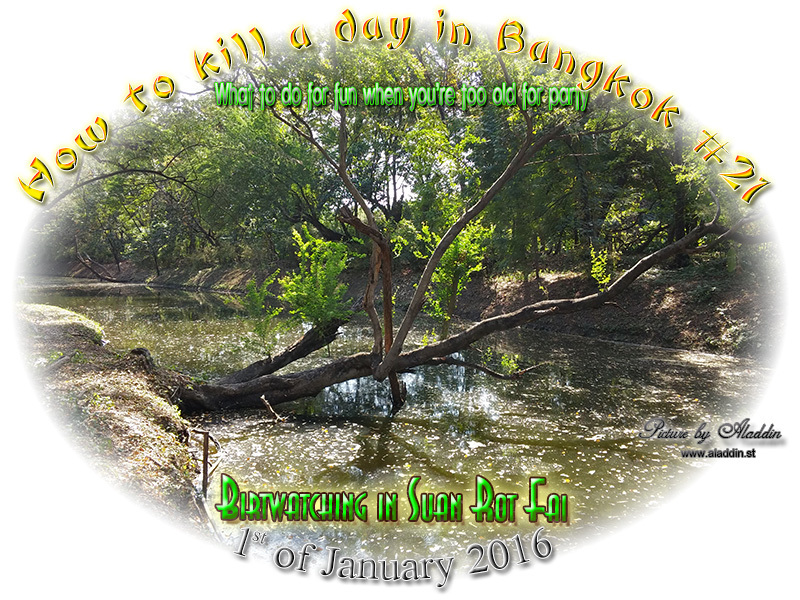 Friday 1st of January 2016 and my alarm went off at 8 o'clock and I was soon in a taxi on the way to Suan Rot Fai. 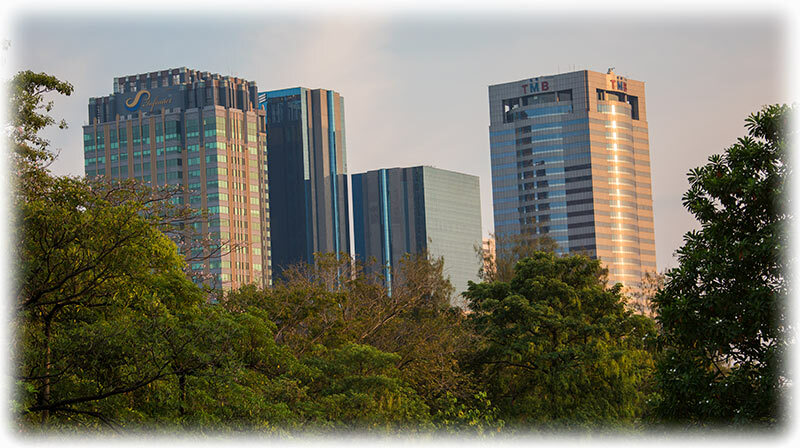 There are 2 Parks, the Suan Rot Fai and the Queen Sirikit Park. Next to each other so it feels like one. It is also recommended by Nick Upton at www.thaibirding.com as a birdwatching site. 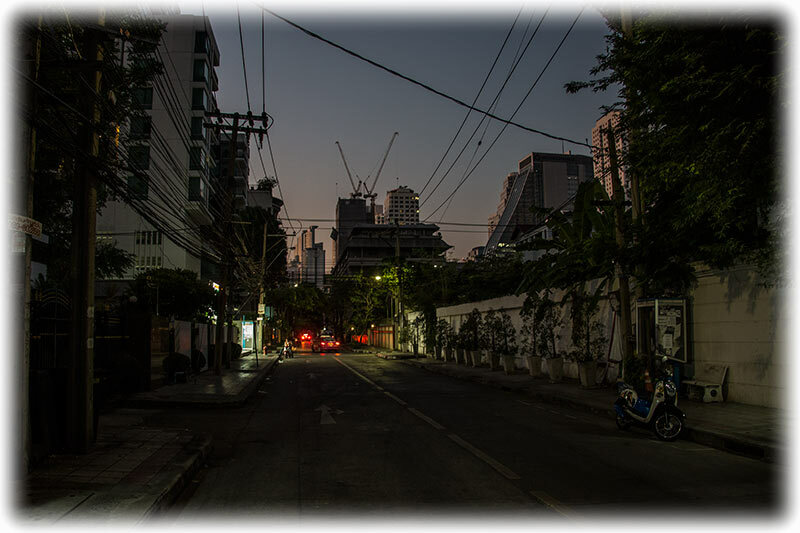 Read his review by clicking HERE There is also an interesting blog “Bangkok City Birding” worth reading if your in to birding in Bangkok. And if you don't understand English you can always have a look at the beautiful pictures. 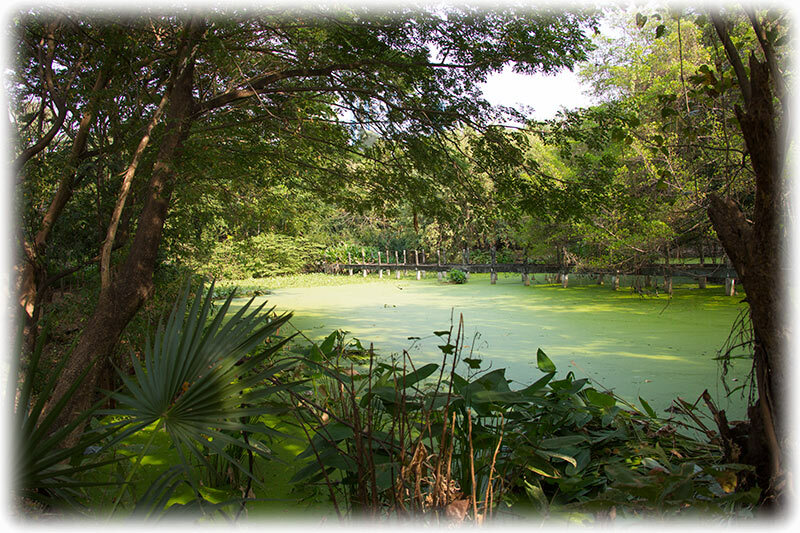 is a botanical garden in Chatuchak district, Bangkok, Thailand. 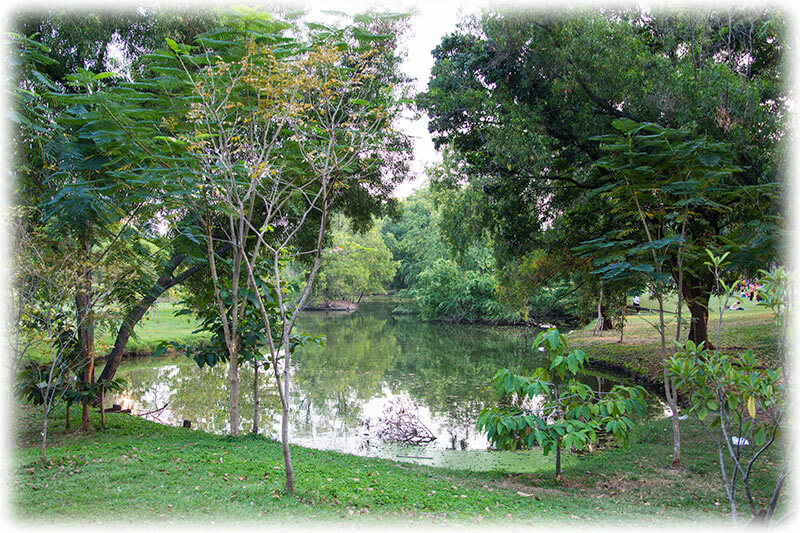 Covering an area of 0.22 km², it is part of the larger Chatuchak Park complex. 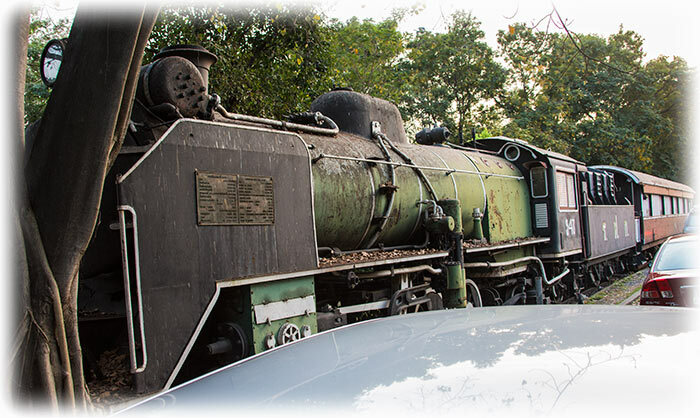 It was built in 1992 and named after Queen Sirikit to celebrate her 60th birthday. 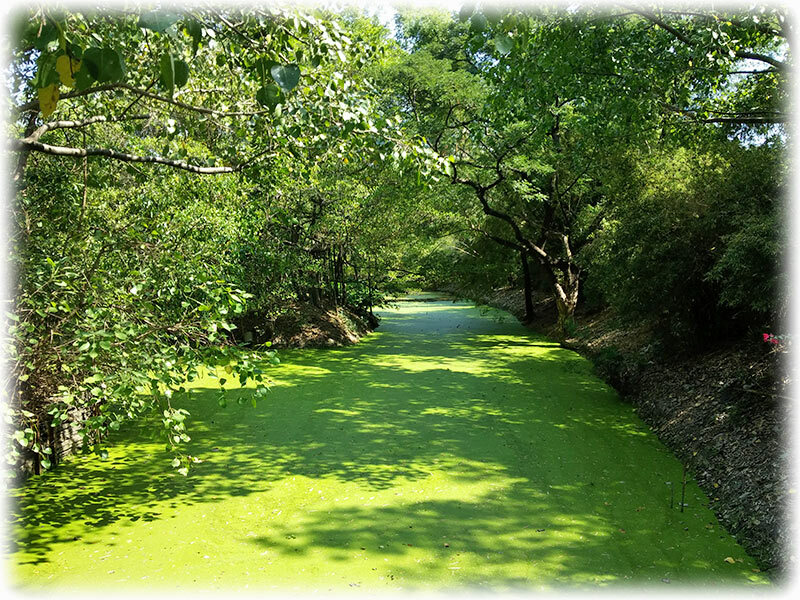 It contains many fountains and pools where lotus flowers bloom. 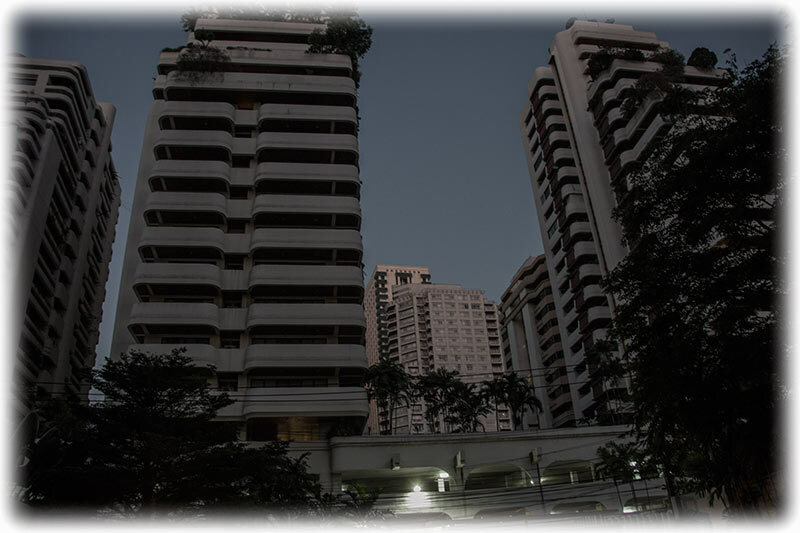 The park can be reached easily from the Mo Chit Station on Sukhumvit Line of the BTS Skytrain, or the Chatuchak Park Station on the MRT Blue Line. 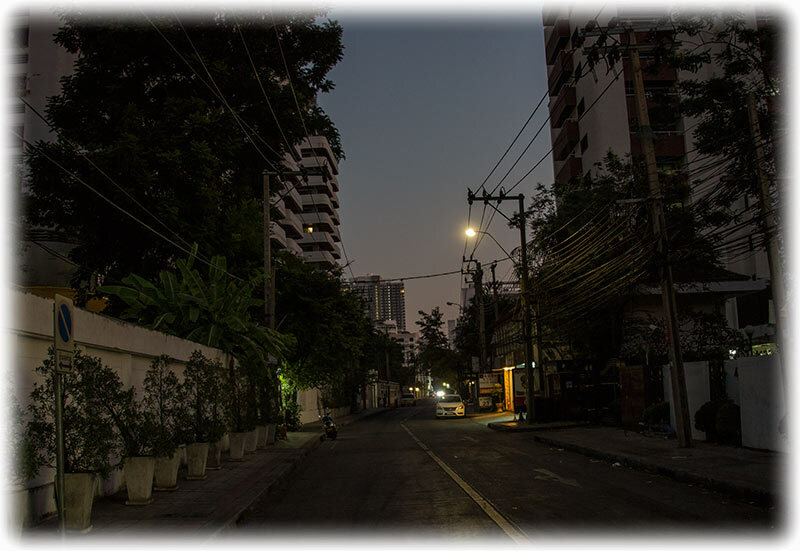 Coming out on the street and it was around 9 o'clock and there was not many cars on the streets of Bangkok. 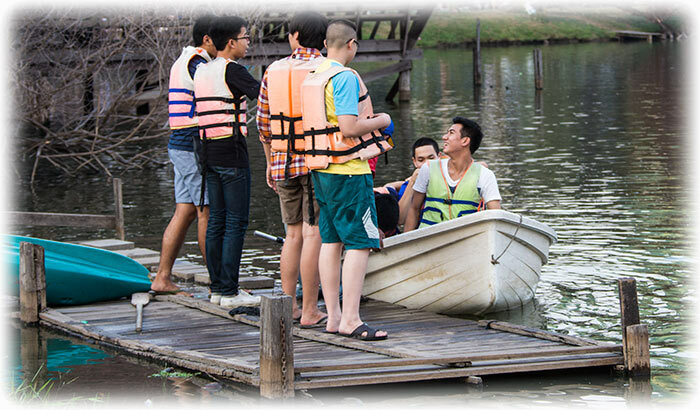 Good, I will be alone in Suan Rot Fai. And I can enjoy the birds without any noise and disturbance. And with people garbage. Green MiniMart at the gate, they had the music blasting high. And I don't mind loud music (if it is good) but this was a 5 Dollar loudspeaker trying to sound like a 1000 Dollar loudspeaker. In short, terrible. Entering the park and I turned left following the track. 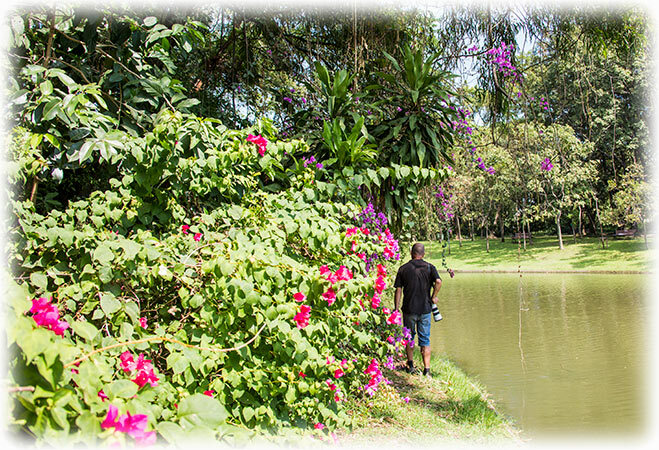 I walked along the paved track and when I came to the lake I went out on the grass walking down to the water. So I was in a good mood when I left the lake and I was full of new hope. I stopped at another pond and there were some brown birds that were beautifully blue when they were flying. But to far away for good pictures. I crossed a field full of Egrets walking towards another pond. 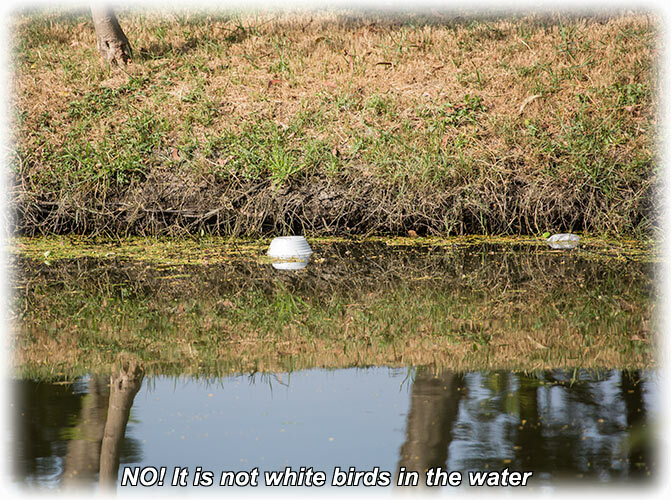 The Egrets confused me, I thought they were the Little Egret but they had black feet so it was obviously not the Little Egret. I saw another guy approaching the pond. Turned out to be a British guy and he was here almost every day taking pictures. He took me on and he showed me around the park. He had been taking pictures for 17 years so I was glad to pick up some tips. 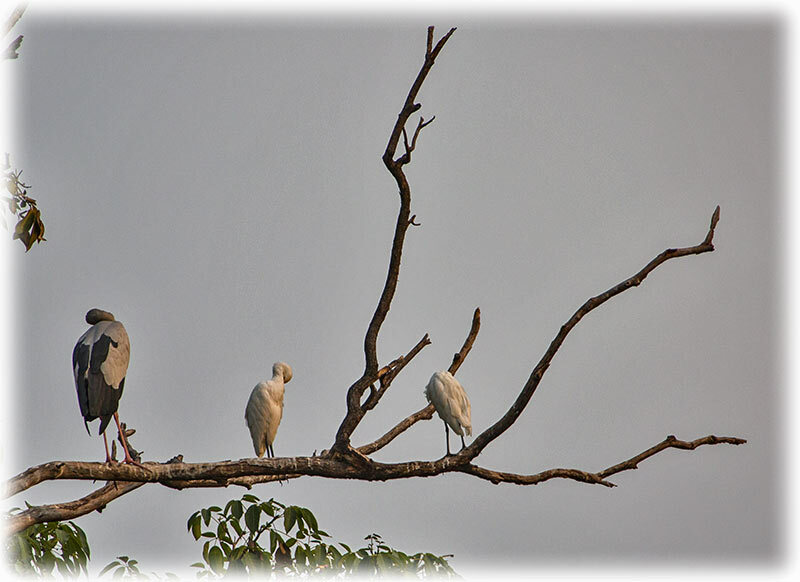 He told me that the Egrets were Cattle Egrets and the blue bird was an Indian Roller. Same as my favourite African bird, the African Roller better known as the Lilac Breasted Roller. Much more colourful than the Indian Roller. 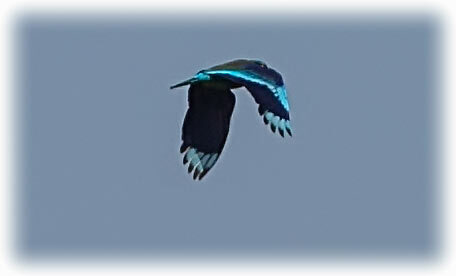 But the Indian Roller is also beautiful when flying, like an explosion in blue. My new friend started by taking me to the Spotted Owlet three where there is a yes, sitting down? Surprise warning, a Spotted Owlet was living in the tree. We walked to another pond where my new friend and birding pal had seen a Black-capped Kingfisher, but now there was nothing to see. We crossed the paved path and we were soon in the wilderness again. We saw a camouflage tent on the other side of the water and I was wondering who the heck wanted to spend the time sitting there for hours. My friend recognised the cart outside the tent and he told me it was a girl he used to see in the park. He had never spoken to her, but when we passed the tent a little later on I said hello and I was surprised when 2 girls came out from the tent. She started to show some pictures on a pad or pod or whatever they call those things. My new friend was interested but I lost interest as soon as I had a White-rumped Shama landing just next to me and I concentrated on taking pictures. 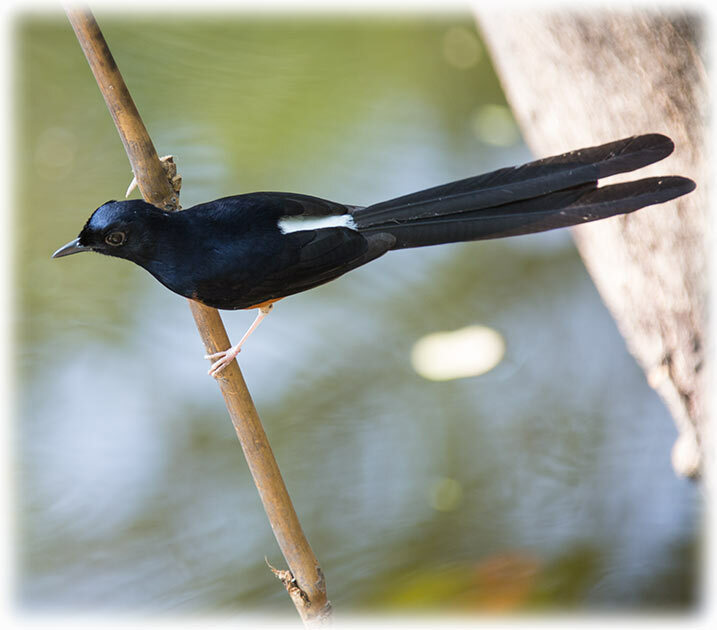 The White-rumped Shama was not scared and he jumped around and it was a beautiful bird. 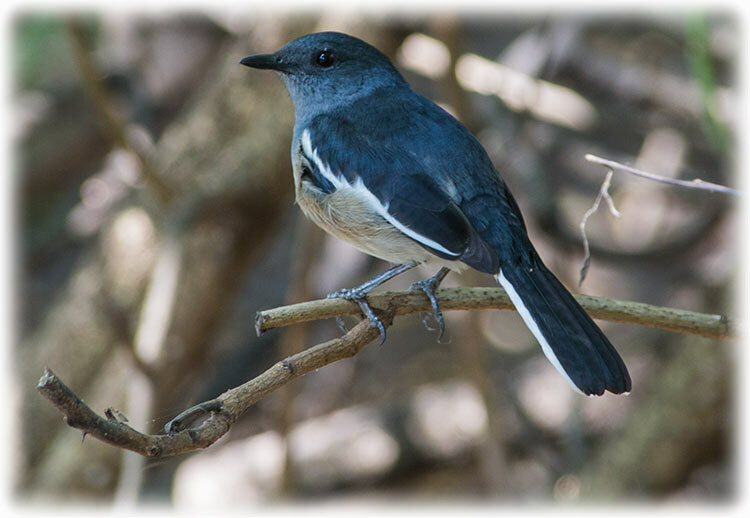 A wee bit later we had a Oriental Magpie Robin joining us in the shadow of the bushes. 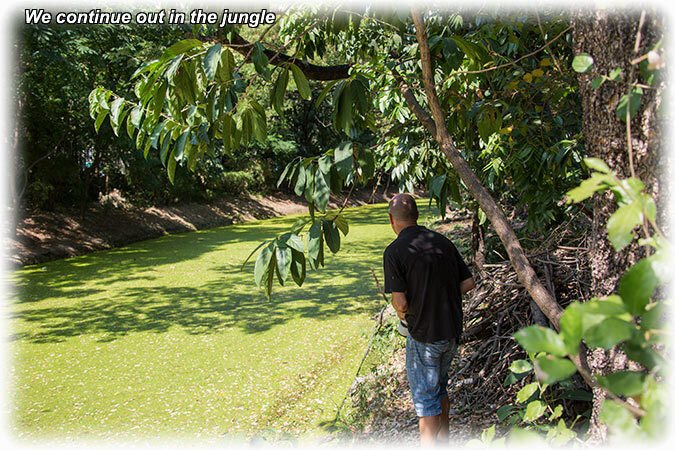 I got a few pictures and my new friend and I was soon leaving the girls behind working our way deeper in to the jungle. 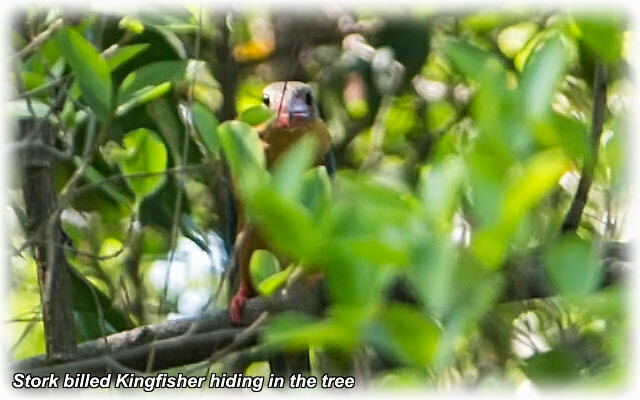 We were searching for some exotic birds and we had seen the White throated Kingfisher at the owlet tree. But I never got a picture. 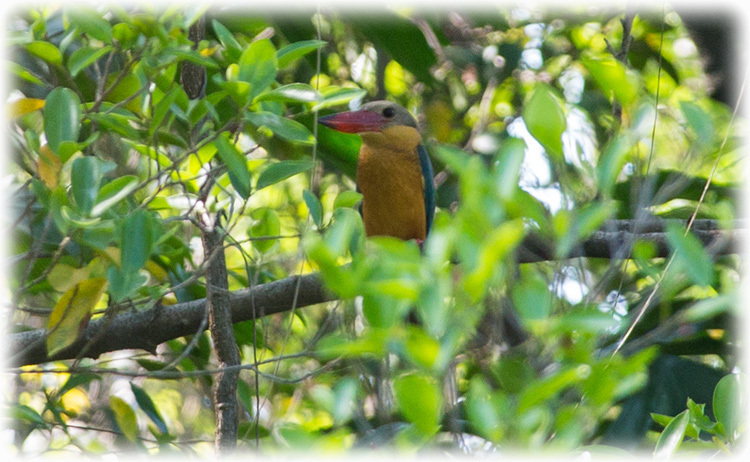 We would like to see another of the White throated Kingfisher. 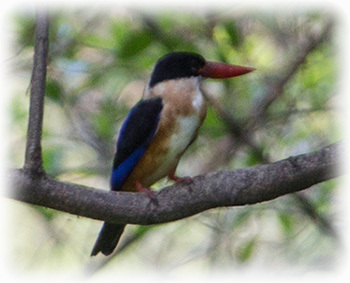 There is also Stork Billed Kingfisher and Common Kingfishers in the park. Something we would like to see. 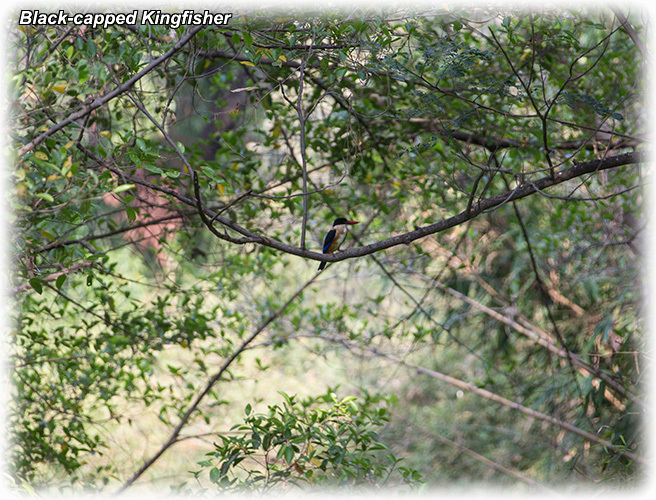 We walked through the bushes but we never saw any birds, the Kingfisher is extremely shy. 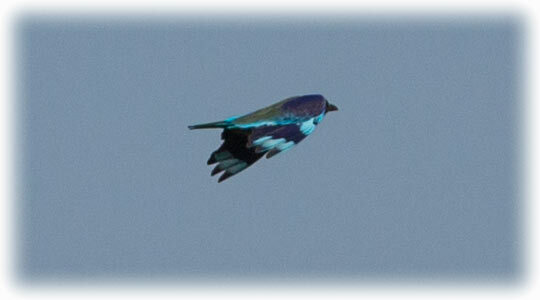 But one way to get a picture of them is to see where they land after they have been scared away. Of course, the best way is if you can sneak up on them to get a picture. By the way, the girls suggested that we should by a tent. Ducking hilarious, imagine me in a tent like that! I would have to wear the tent like a ducking shirt! Yeah, easy to imagine fellow birders reaction. Something I can live without. 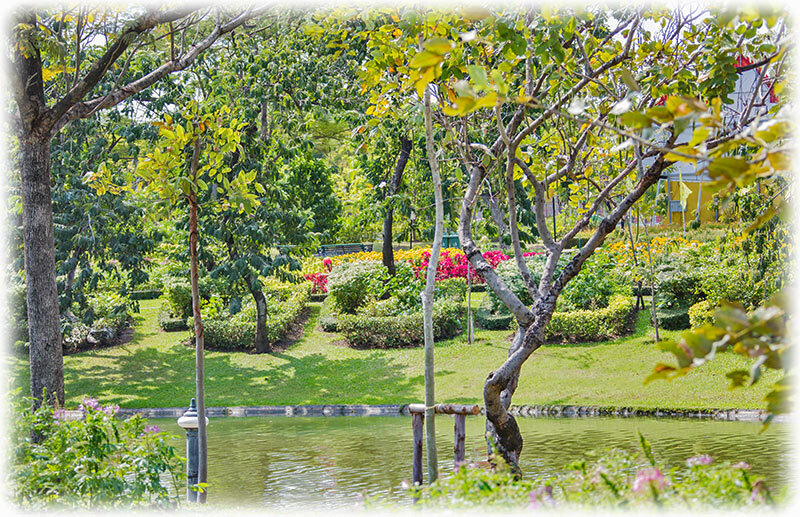 Queen Sirikit Park is just across a small bridge over some water, about 10 meters long. 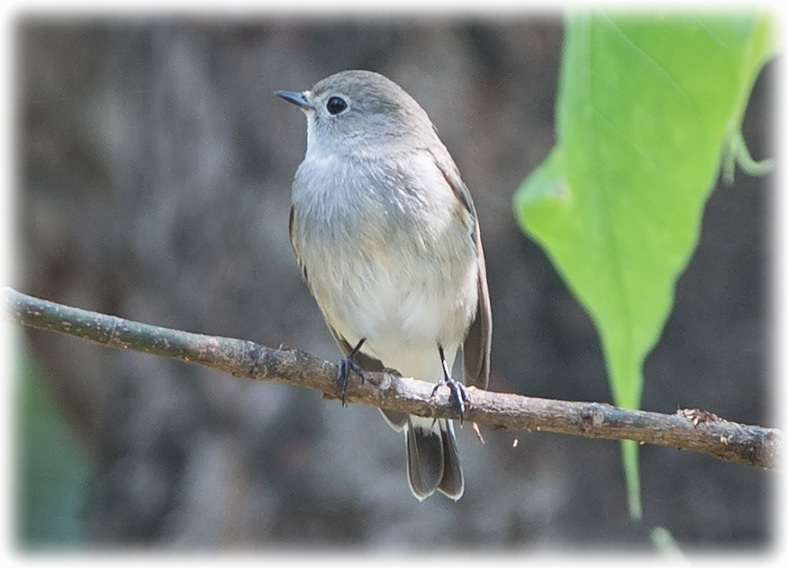 We were in the Queen Sirikit Park and the first thing we saw was a Taiga Flycatcher We bought some water before we continued to explore Queen Sirikit Park. And as my new friend had said, here are more low bushes and flowers and many of the birds are at eye level. We finished the water before we continued, of course, making sure the garbage ended up in the provided trash bins. And it was hot, what ever happened to the cool season this year? We had 2 days in the middle of December when it was a little cooler. Otherwise it have been very hot. So I could as well have been away working as the only reason I want to be home in December and January is the weather. 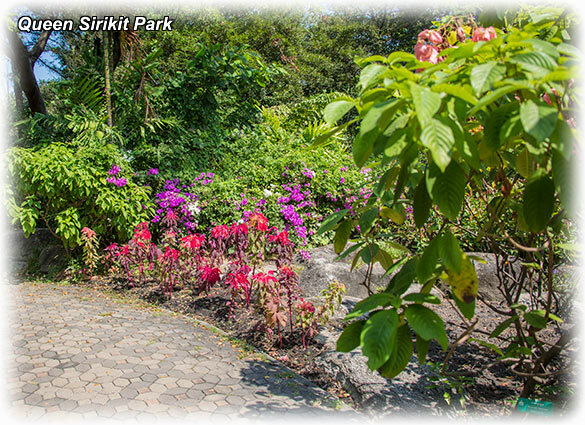 The Queen Sirikit Park is, well, I read that it is a botanical garden and it is more a garden than a park, even though it is big. My new friend almost shat himself when suddenly a huge monitor lizard got scared and ran away when we came through the bushes. We also saw a Olive-backed Sunbird in the trees. Not worth mention the Common Myna as they are all over the place. But the Common Myna sounds quite nice when they are twitter in the trees. So it was a joyful day in the park, even though it was hot. And I was very happy as we were seeing many birds. 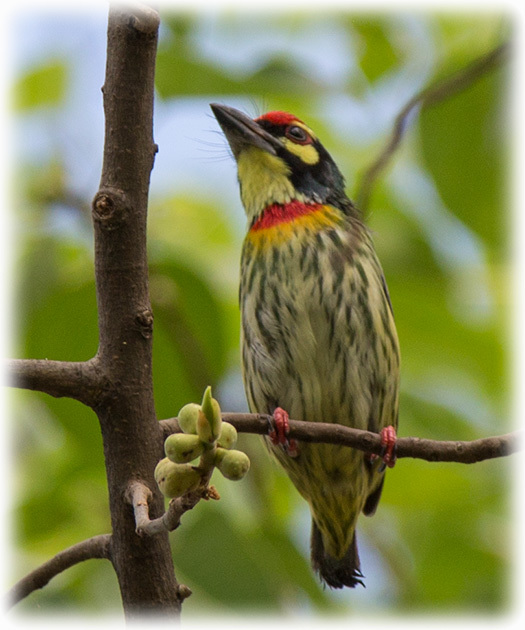 The two most beautiful birds today was of course the Blue Tailed Bee-eater and the Coppersmith Barbet. Those 2 birds, if for nothing else made it worthwhile coming here. 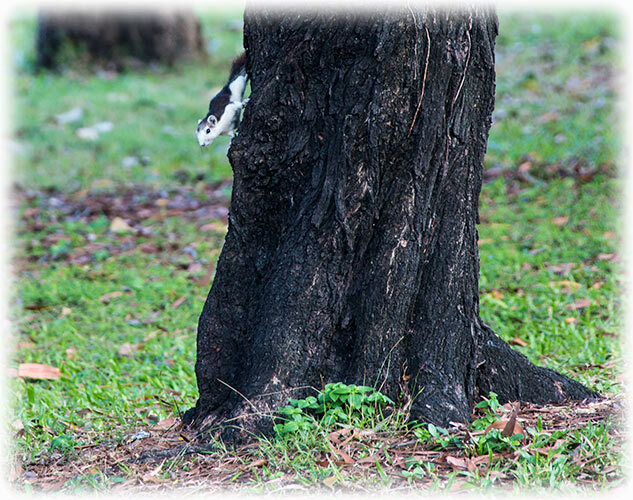 And if you don't like birds here are plenty Monitor Lizards and Squirrels in the parks. And if this doesn’t rock your boat you have always the flowers to look at. It is holiday, but I could imagine this place during the weekday when you would be alone, or almost alone. 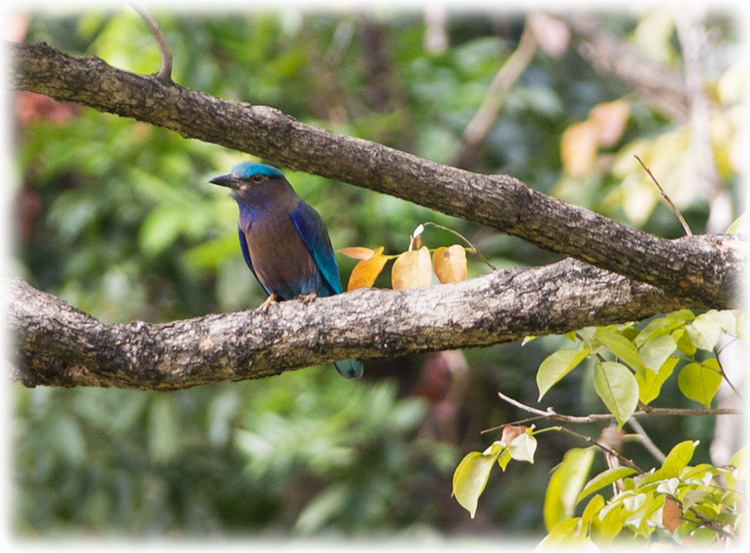 We walked around the Queen Sirikit Park and we saw some of the Indian Rollers, also a very beautiful bird, all blue when they are flying. We walked around and time passed very quickly, I had been in the park for 4 hours already and it felt like we just had started. And that is even though it was very hot! We were soon back at the toilet where we bought water and we were soon on our way again. 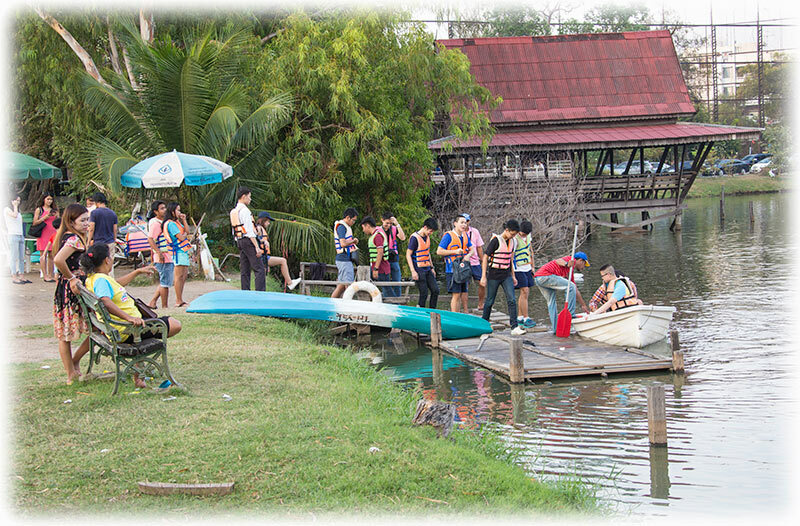 Before crossing the bridge back to Suan Rot Fai we went to explore Kingfisher land, and area known for the Kingfishers. I reached the water and suddenly I had an explosion in bright blue and red in front of me. A Stork billed Kingfisher got scared and he fly off to a tree. All the Kingfishers I have seen are very beautiful when they are flying displaying all their colours. I was lucky and I saw him in the tree. He was covered by a branch with leaves, but when the wind was blowing I could see the full Kingfisher. But the bird was too far away for a good picture. We were soon back in Suan Rot Fai and we checked the Owlet area and there was a Thai birder that had set up his equipment’s. The Spotted Owlet was sitting in the tree. No Kingfishers. We left for 2 more ponds and as we had been in the park for 6 hours ++ we decided to go to eat something. 24 hours since I ate last time and I was hungry. We walked to Central Plaza in Lad Prao where we had Japanese food. - Duck the hospital, lets meet at 7 o'clock tomorrow morning. Saturday 2nd of January 2016 and I woke up at 05:04, one minute before my alarm was set to go off. I had my tea and oatmeal and I was off to look for a taxi. It was no problem to find a taxi and as most people were sleeping at this time we made it to Suan Rot Fai in zero point five. Nice time of the day, well, to get out of bed is not any favourite. But as soon as you have had your tea and hot shower it is nice. I was going to meet my friend at the pond where we had met yesterday and I was there 2o minutes before 7. 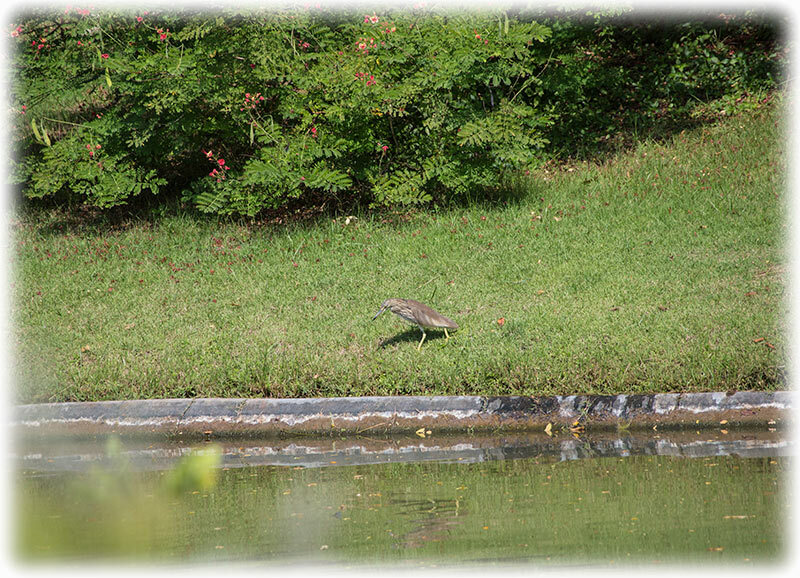 I was sneaking up to the pond trying to avoid startling if any exciting birds in the pond. 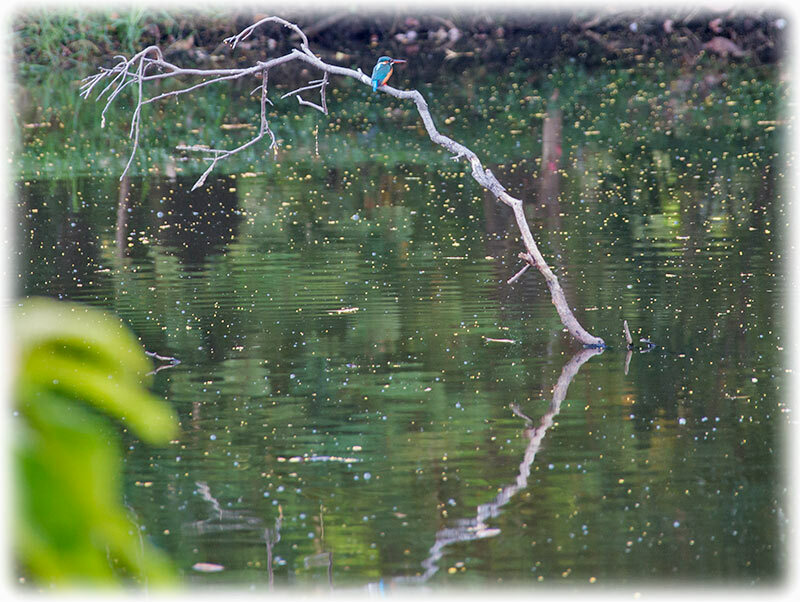 There was a Common Kingfisher sitting on a branch sticking up from the pond. A beautiful sight, but he was off before I was close enough for a good picture. But as I use to say, the picture is not the most important. To see and experience beats any picture. Or I could as well have stayed home watching internet. My friend arrived at 7 and we did our by now normal tour of Suan Rot Fai. 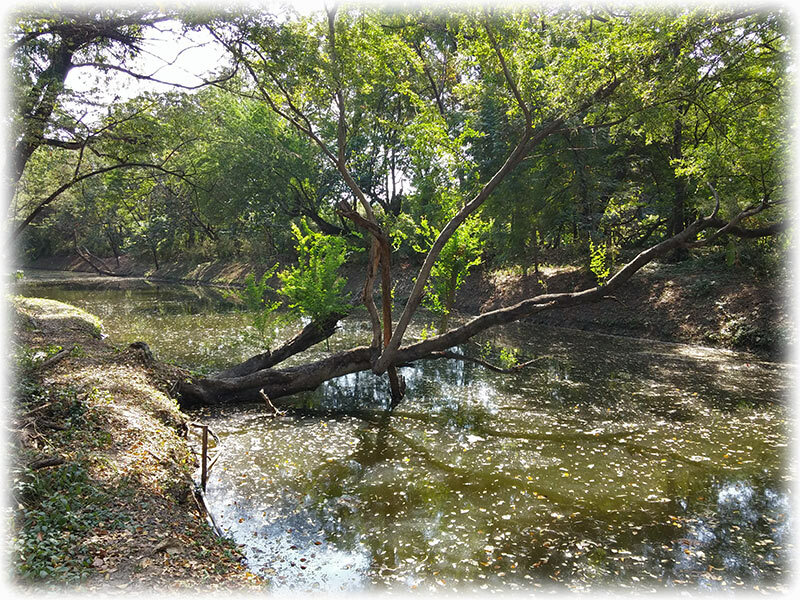 Start at this pond for Kingfishers, Egrets, Herons, Asian Openbill and Blue Tailed Bee-eaters. 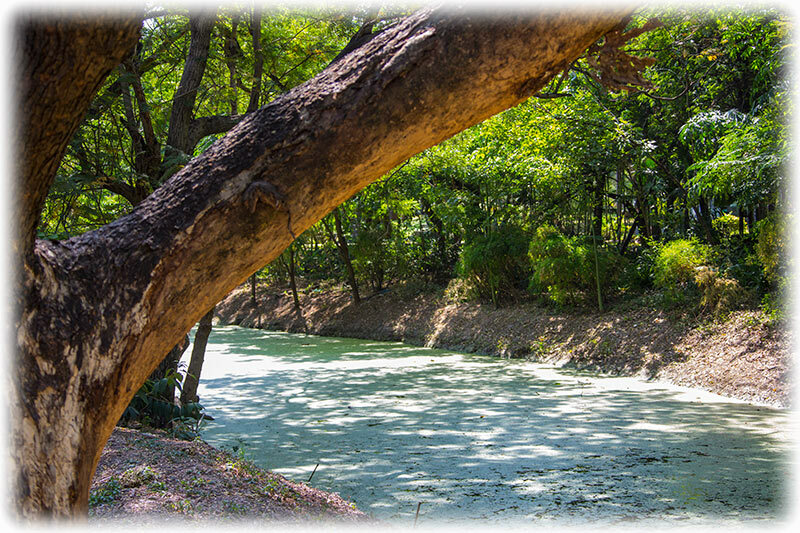 Then we walk to Kingfisher land and my new friend thought me a tip. 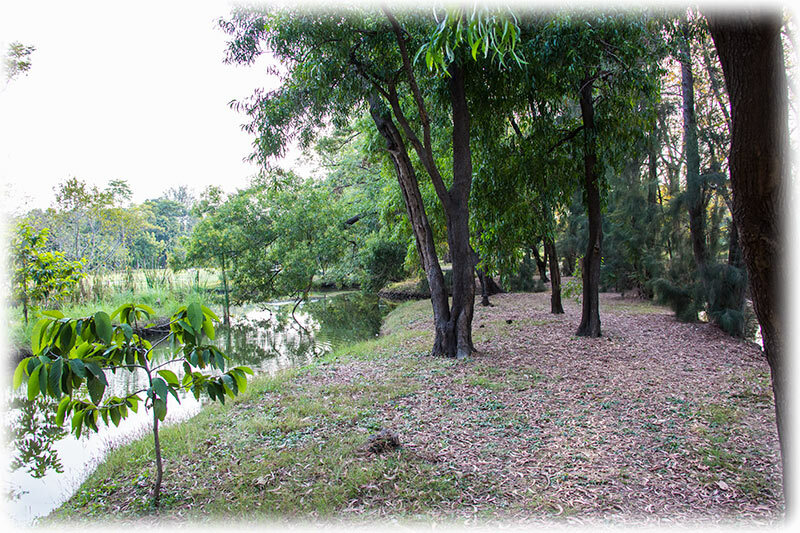 Leave the track before reaching the bridge to the Queen Sirikit Park to sneak up to the pond between the trees. Best chance to see the Kingfishers. If you come from the bridge they see you and take off. 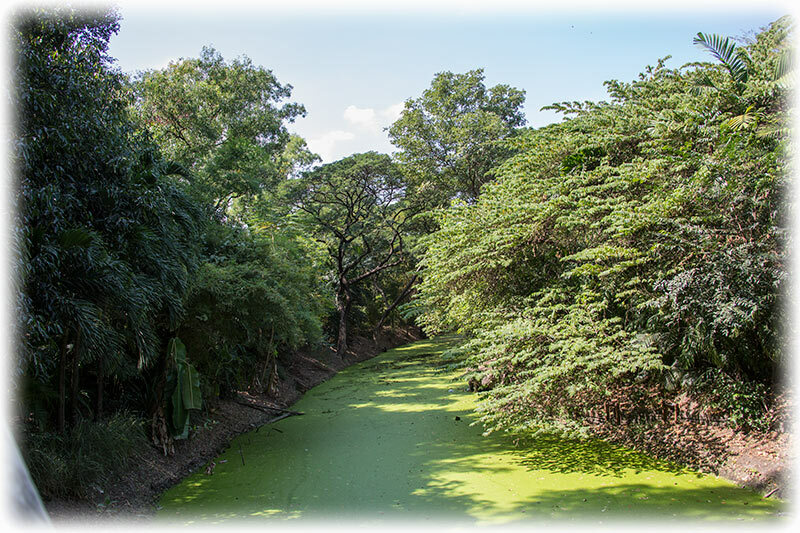 From there we go to the Spotted Owlets trees and the ponds in that area where we had seen the White throated Kingfisher yesterday. We spotted the Spotted Owlet but no Kingfishers. 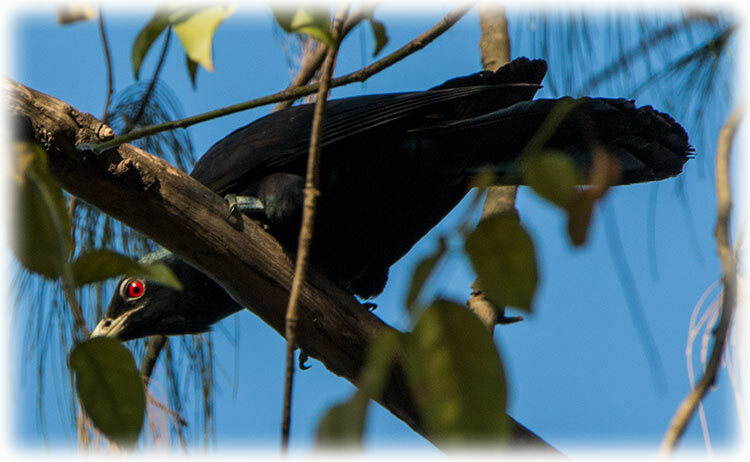 I saw a Ashy Drongo in the bushes, or if it was a small tree. While sneaking around the pond looking for Kingfishers we saw a Scarlet-backed Flowerpecker. The Flowerpecker was in a tree eating berries. I also spotted an Asian Koel, well, there were two of them. There is another bird looking very similar to the Asian Koel, but the Asian Koel have a white/ grey bill. So I found it what bird it was back home with internet. 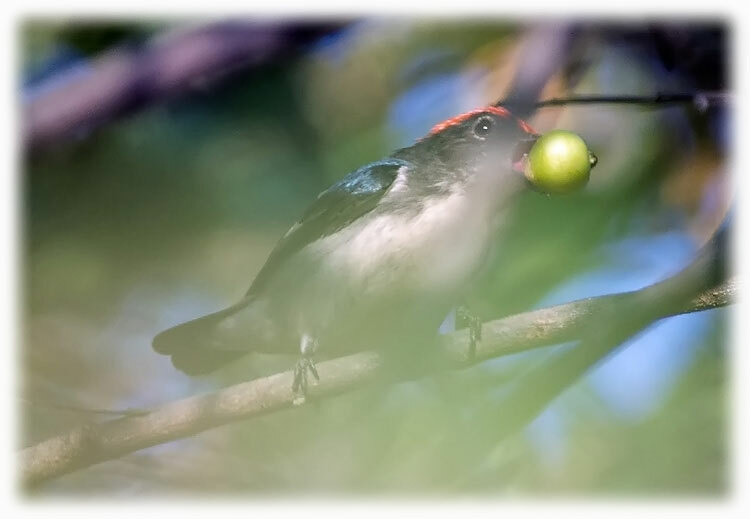 If you walk by a tree with berries keep your eye out for birds eating the berries. 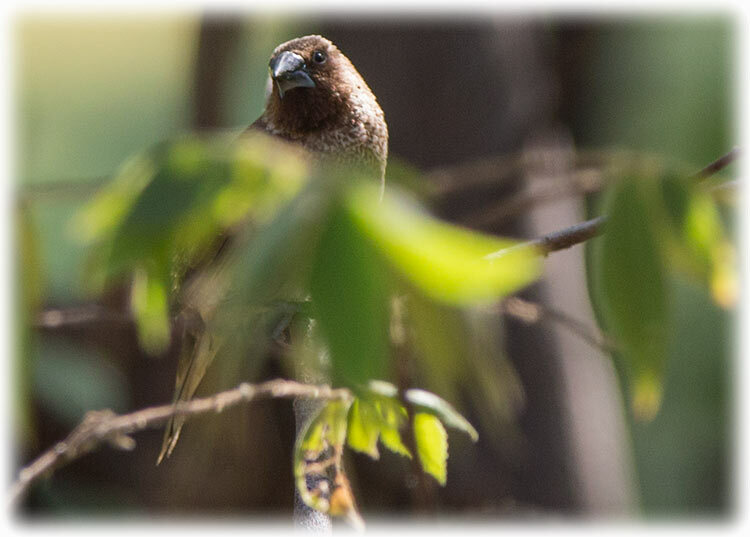 There are plenty of the Scaly-breasted Munia around and they keep low. In the grass or on low branches in the bushes. It was a very good day. 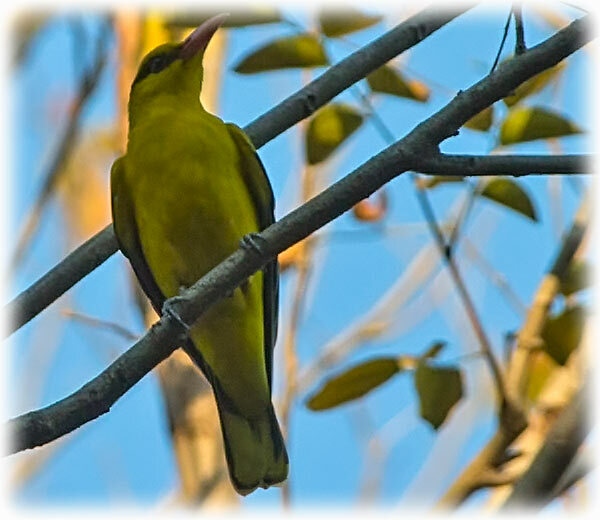 The most beautiful bird today was the Black-naped Oriole We were walking towards the Kingfisher land when we passed 3 Thai birders with cameras on tripods pointing up the tree. There was a Black-naped Oriole, a beautiful yellow bird. I saw it yesterday, but no pictures. At first I thought it was a yellow leaf, but it was a bird. It was definitely worth going up at 5 o'clock to come here early to see the birds. 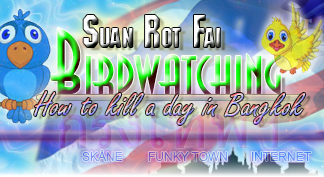 On the signs at the Sri Nakorn Kuen Khan Park/ Bang Krachao - Green lung of Bangkok they recommend to do the bird watching early morning between sun rise and 10 o'clock. Then again from 2 o'clock in the afternoon until sunset. Yeah, maybe I will have to try that park again early morning. I don't know what happened to the time, 4 hours had disappeared and I had to leave to go back home for a shower before going to the hospital. My new friend would continue the birding and I started to walk back towards the gate and a taxi. Of course I take the opportunity to walk along the ponds when I walk back to the gate. You never know what you will see. 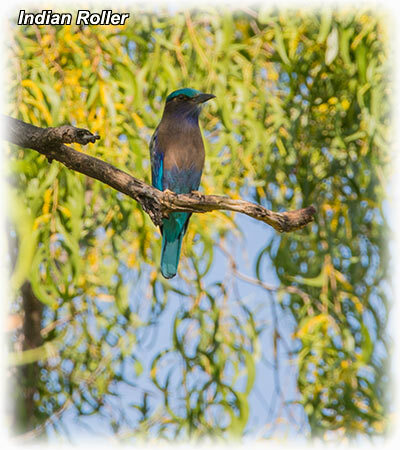 Blue tailed bee-eaters and Indian Rollers. I stopped to buy water at the kiosk before continuing towards the gate. I finished my water and I disposed all the trach in the trash bin, obvious for you and me, but not for all of us enjoying the park. And that is even though they have a PA system in the park and every now and then they are blasting out a message: Don't throw garbage, NO SMOKING etc. I see an Indian Roller and I try to sneak up to get a picture. And yes, when I manage to move 500 kg of lard in stealth mode the light is not good. The darn Indian Roller was just sitting there looking at me. 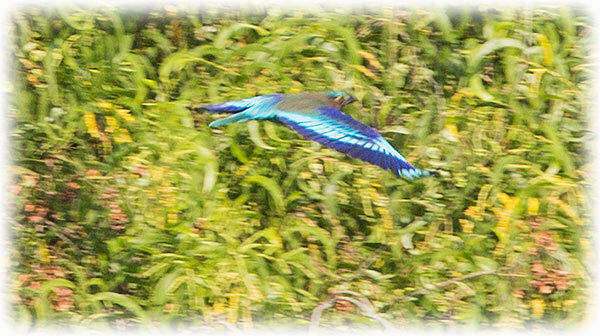 I managed to get some pictures of one flying Indian Roller. But the bird was very far away so the pictures didn't turn out as I had wished for. 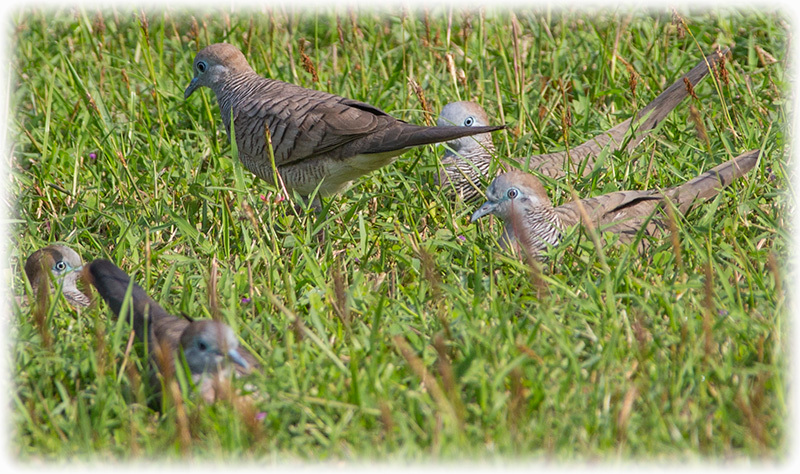 But I will be back to Suan Rot Fai to practice taking pictures of all the beautiful birds. I was soon back at the gate and I bought an ice cream at the Green MiniMart with the annoying music from the very poor loudspeakers. Many people coming to the park so there was no problem to find a taxi and I was soon on my way back home to Sukhumvit Road and a hot shower. When I was finished at the hospital I went to Tops Market. I bought 2 kilo of smoked salmon and 2 kilo of avocado, so I was really looking forward to get back home. And 4 hours of birdwatching at Suan Rot Fai had made me hungry. And Salmon with avocado is, well, very good. Sunday 3rd of January 2016 and I was off to Bangkok Slot Car Club with my SCX Classic Fiat 124 Spyder. But there was no one there. The owner told me that I could drive. Well, I will be back when I'm home from India and the guys are back from their New Year's holiday. What to do? Yeah, I go for a late afternoon birding at Suan Rot Fai. 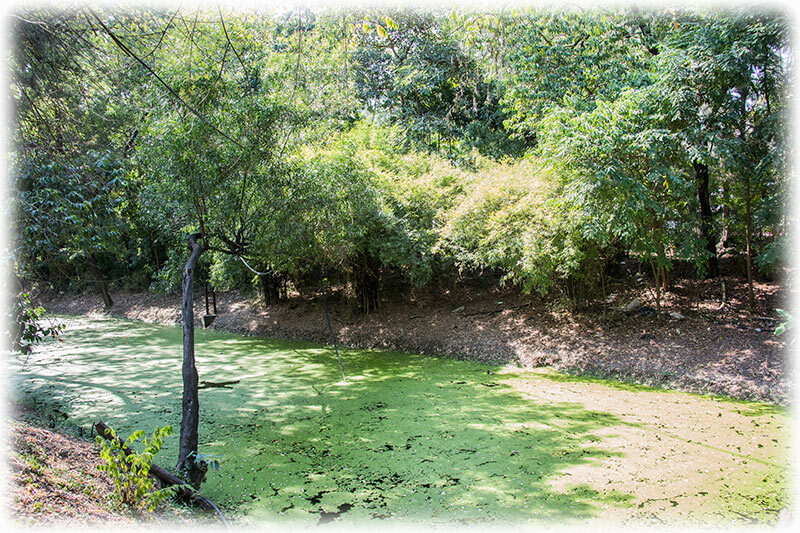 Said and done, I took a taxi to Suan Rot Fai and I started the by now familiar round in the park. Starting where I had met my new friend. 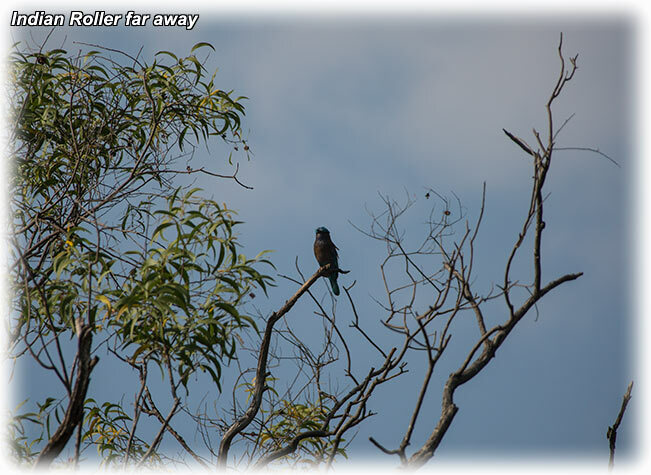 There was a bird on a branch with the back against me, blueish and I thought it was an Indian Roller. 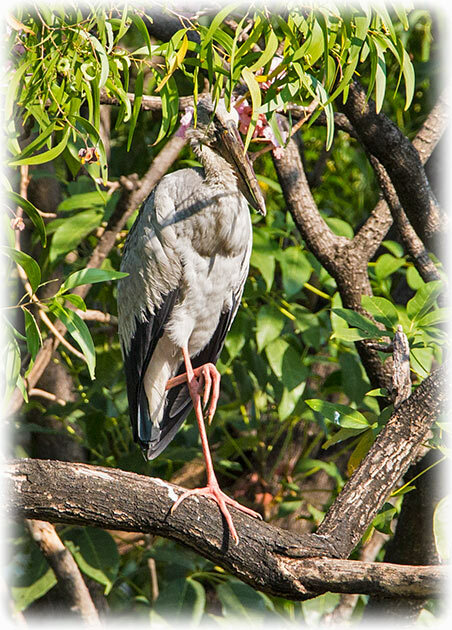 The bird flew off and when he came out from the trees I saw that it was a Stork-billed Kingfisher. 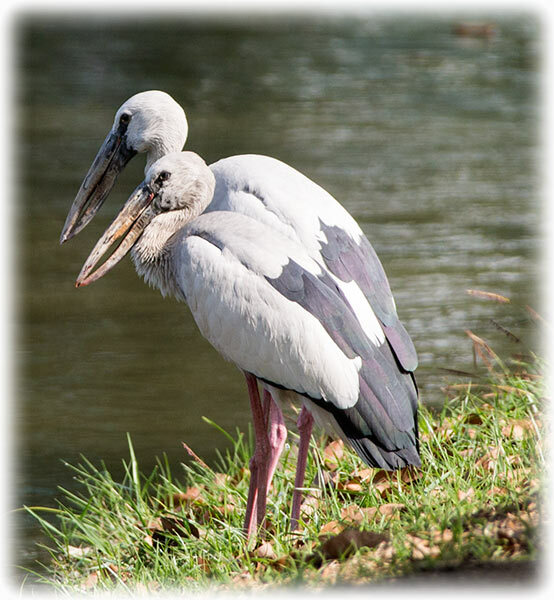 Darn, I would have liked a picture of a flying Stork-billed Kingfisher. I decided to go look at the other pond with the Black-capped Kingfishers, no birds to be seen and I decided to cross the bridge Queen Sirikit Park. 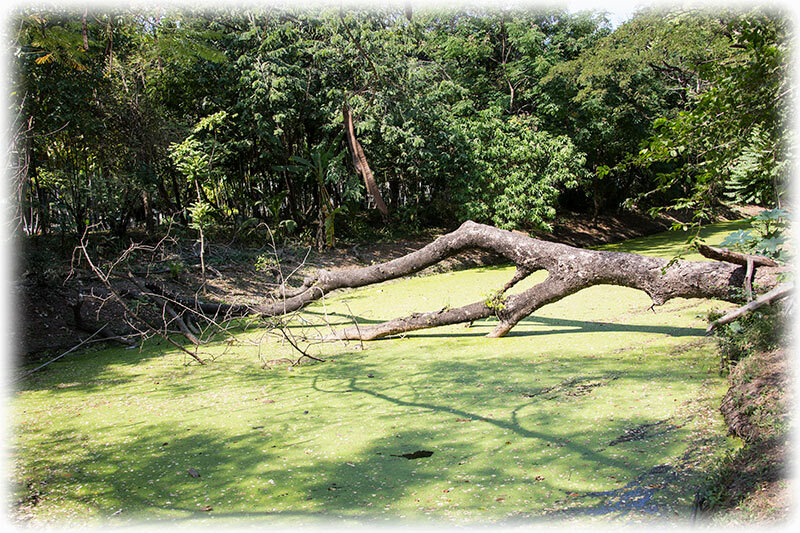 To where we had seen the Stork-billed Kingfisher yesterday. On the bridge, I saw a Black-capped Kingfisher sitting on a branch. I was surprised and I forgot the setting on my camera, coming from sunshine in to the shadow under the trees. The bird took off and I could see where he landed. So I went to the same spot as yesterday. I could see the Kingfisher but he was covered by the branches and leafs in the tree. I moved to adjust my position and suddenly I heard someone telling me to come back behind his tent. 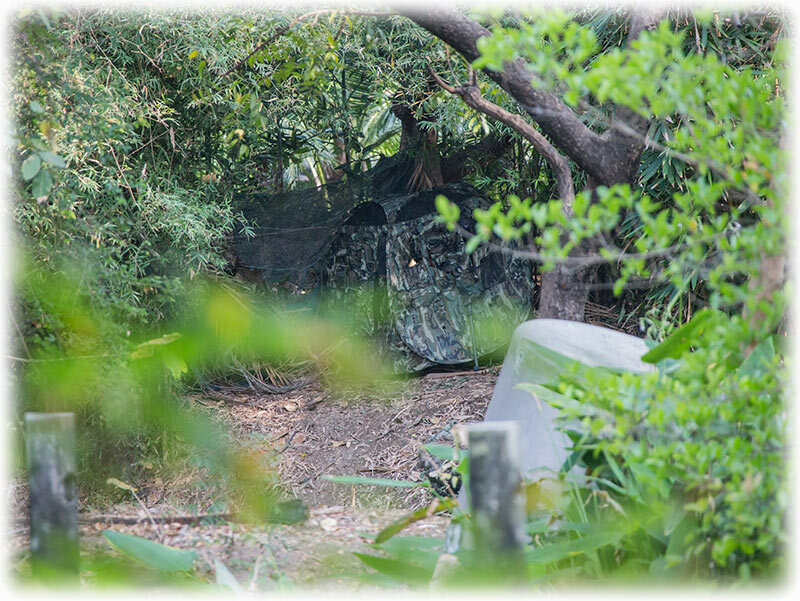 I looked around, there was a tent and a camouflage net with 2 birders. I had not seen them when I approached. And they complained about my red shirt. - Maybe the Kingfisher falls in love with me I tried. I lef the guys and I went back to the other side of the pond to see if I could see the Black-capped Kingfisher in the tree from that side. No luck! But by now I had seen 4 different Kingfishers in Suan Rot Fai during these 3 days. They guys in the tent were not happy when I come to disturb. Well, sitting at the same spot for hours and you're getting desperate to get a picture. And they are using food to lure the birds to their tent. Me and my friend like to walk around, I would go crazy after 10 minutes in the tent. I found a new dust path that I checked out before going back to the Owl tree. No Kingfishers but the Spotted Owlet was out flying so I got a very good view of the Spotted Owlet. 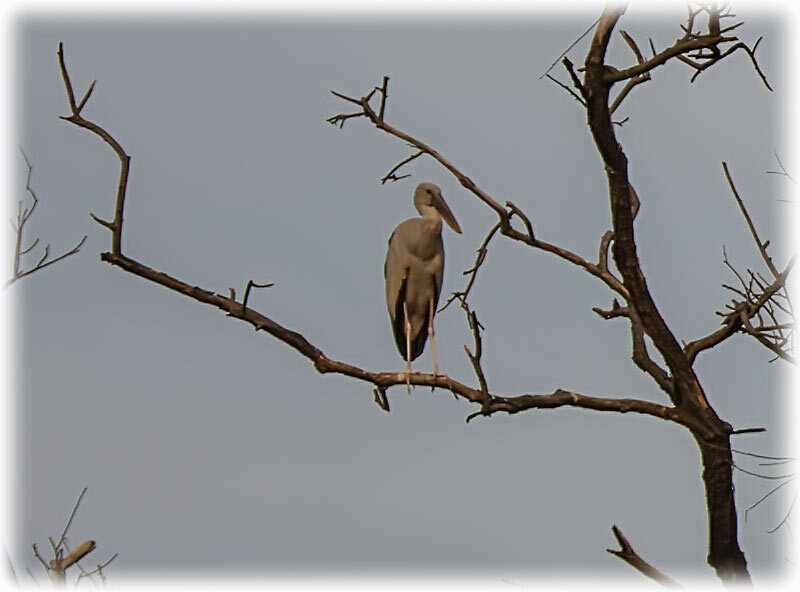 I continued our route and I saw another Stork-billed Kingfisher flying up a tree. But I never saw the bird again. Well, 3 Kingfishers in one day is not bad. I walked the same way as yesterday towards the gate. Along the ponds but there were too much people. 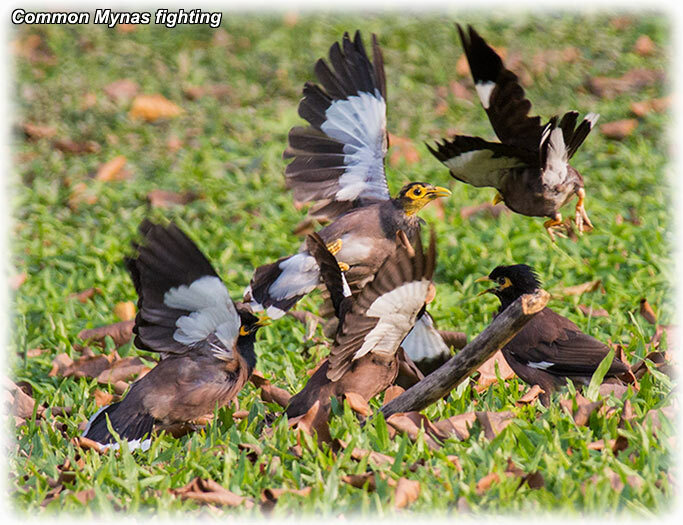 Well, I saw a bunch of Common Mynas fighting over something. I decided to walk to the first pond again to see off I could see anything interesting. But first a bottle of water at the kiosk. 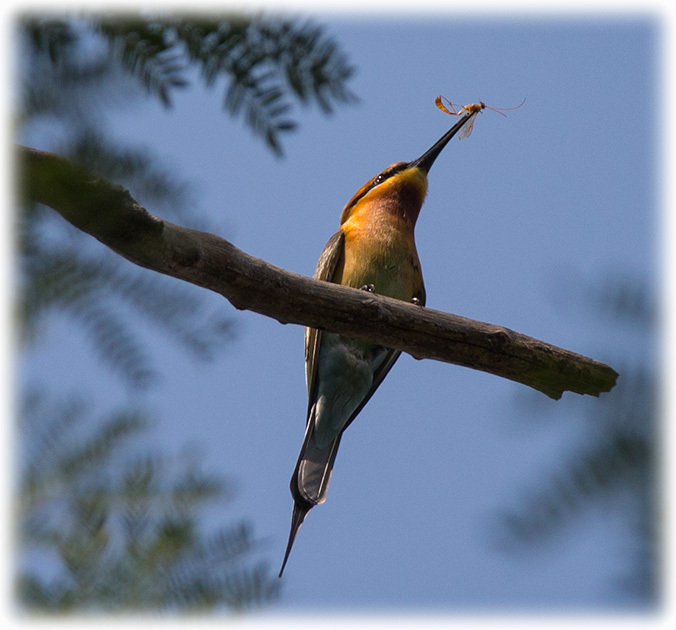 There was a Blue tailed Bee-eater on a branch, otherwise nothing. 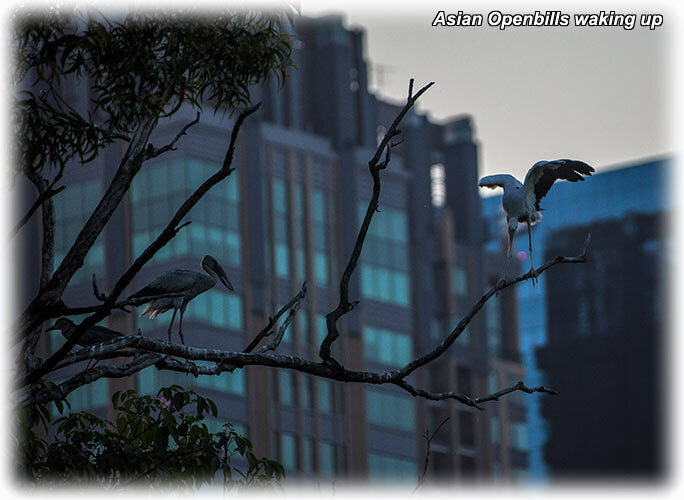 Except for a tree full of Asian Openbill, Egrets and Herons preparing to go to sleep. And it was a beautiful sight. 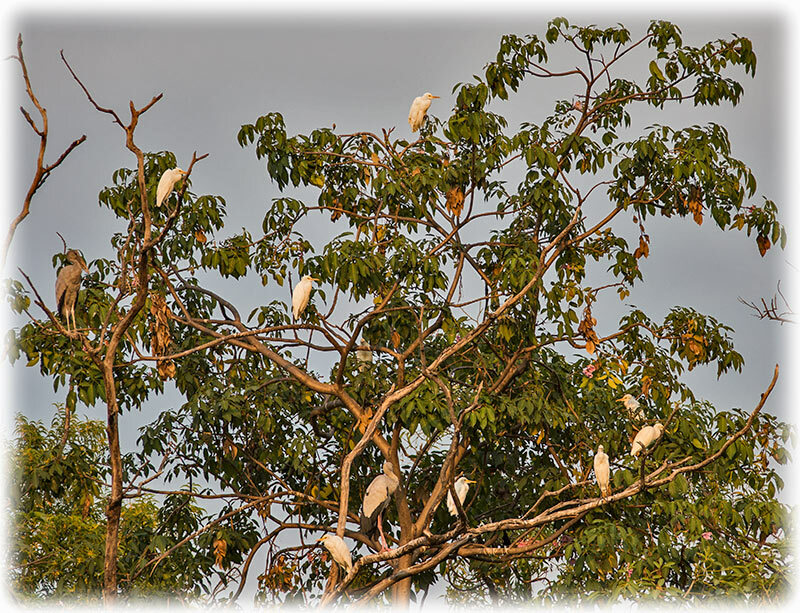 Just as in Africa, all the birds prepared to sleep in the same tree. Yeah, the sun is setting and it is time for me to leave. 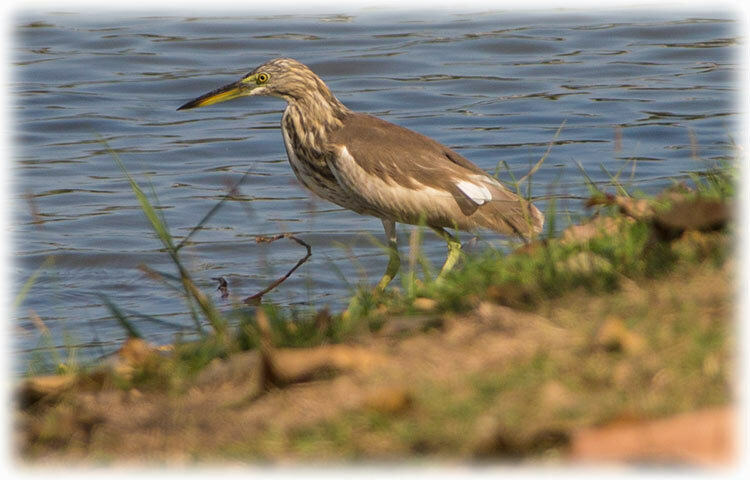 There were plenty Pond Herons, but this time of the year it is impossible to see the difference between the Javan pond Heron and the Chinese Pond Heron. I will be back when they have their breeding plumage. 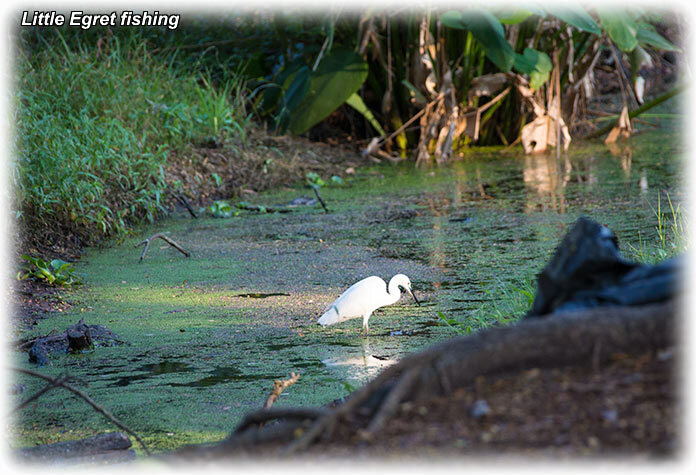 The Cattle Egret have black legs and feet and the Little Egret have black legs and yellow feet. 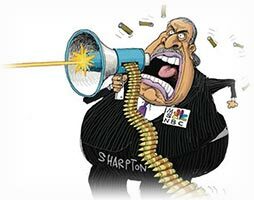 When I discovered this it was clear to me. 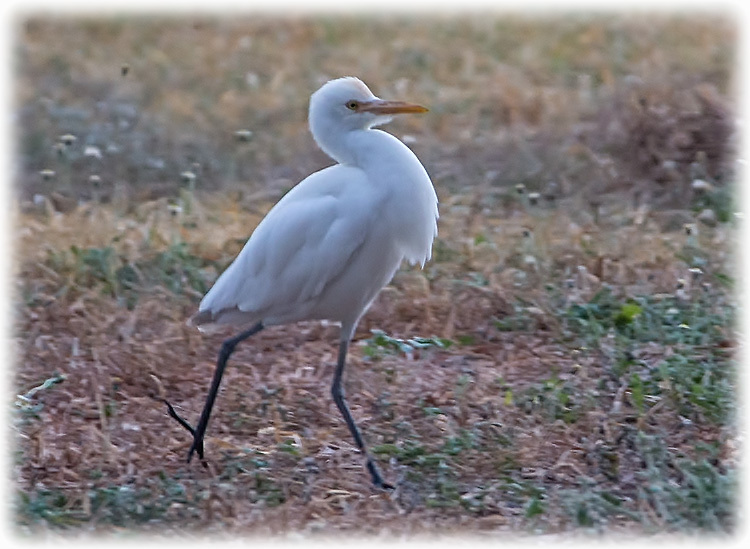 And I saw the Cattle Egrets on the fields and the Little Egrets were fishing in the ponds. There were paved bicycle/ walking paths around the park. But it didn't get exciting until you left the paths. I was there during a holiday so the park was full of people and bicycling and throwing garbage seems to be the thing people are coming here for. 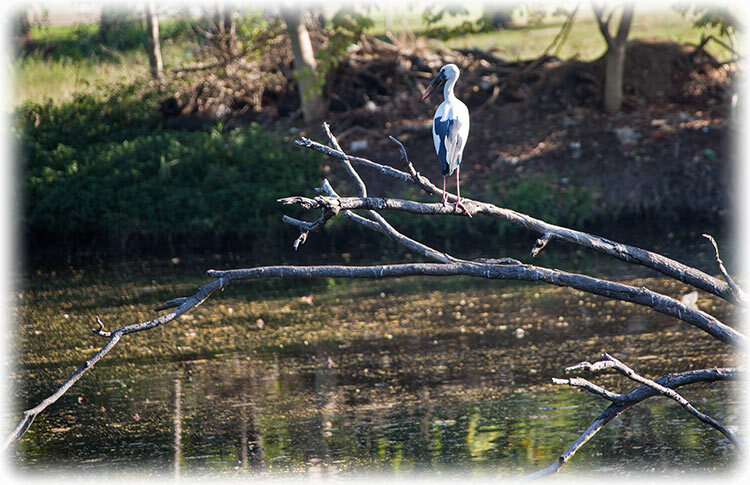 I was here for bird watching and I saw many many beautiful birds. First day I arrived at 9 thirty and the second day I arrived at 6 thirty in the morning. 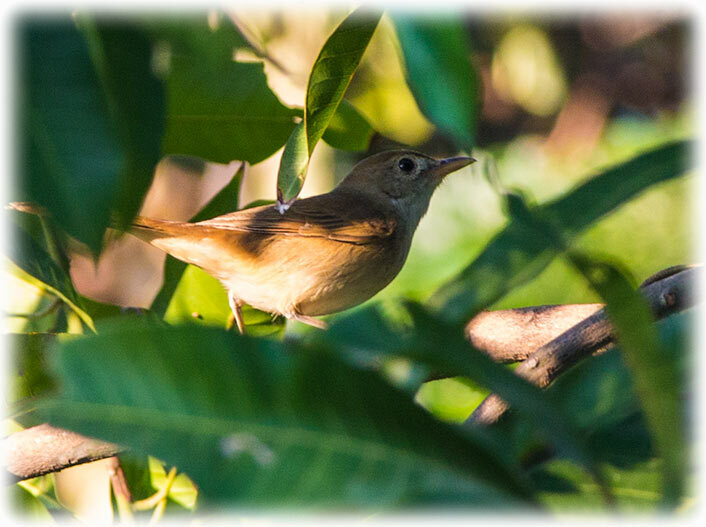 On the third day I did a late afternoon birdwatching walk. We saw 3 different kinds of Kingfishers and many more birds as you can see on the list above. I saw many more birds but no good pictures for identification. 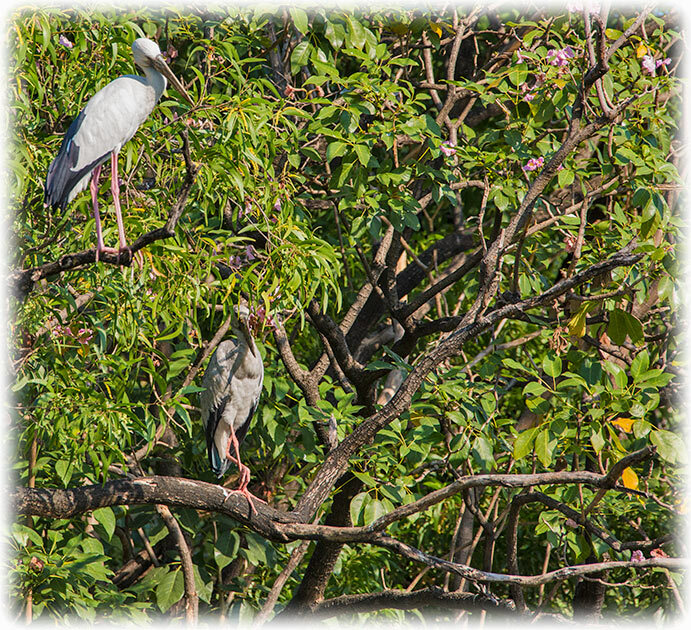 If you are here early morning or late afternoon you can see the Asian Openbill Storks and the Egrets sleeping in the trees. 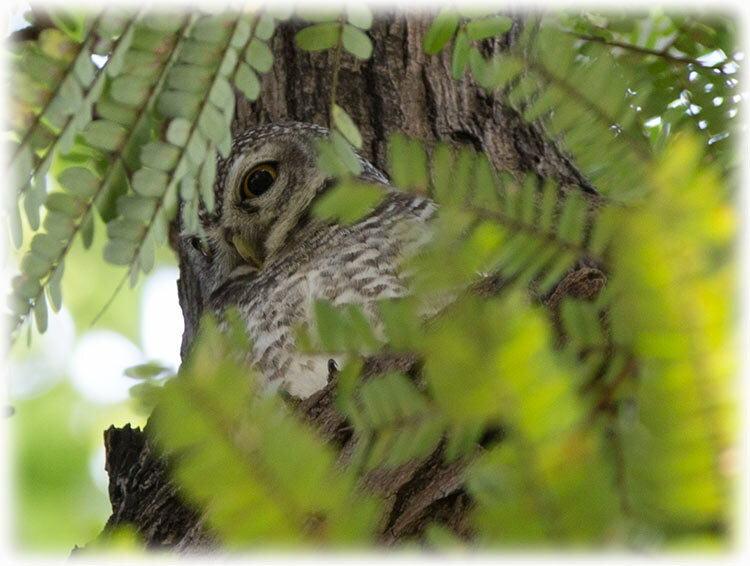 There is a Spotted Owlet that have a nest in one of the trees and I see the owlet every time I go there. 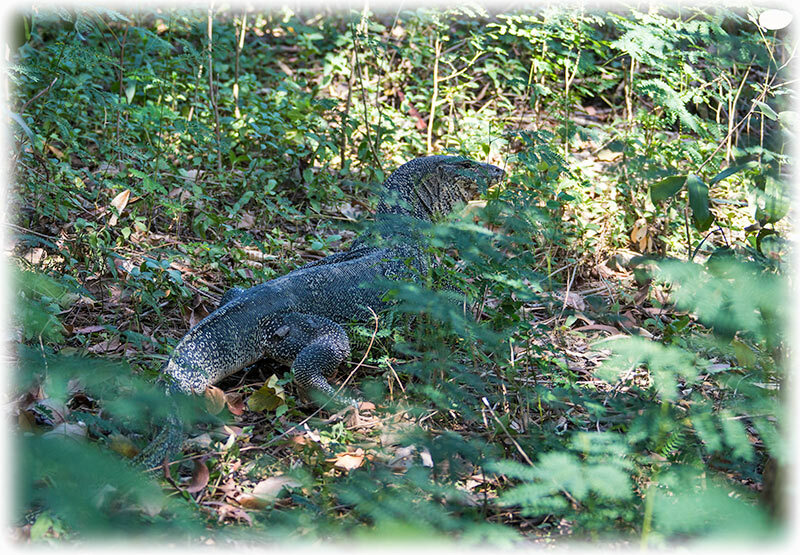 The park is full of monitor lizards and squirrels. And the day before my friend had seen a monitor lizard eating a boa snake. So there is wildlife in the park. Even if you're not in to birding it is a nice place to walk around, or to rent a bicycle. 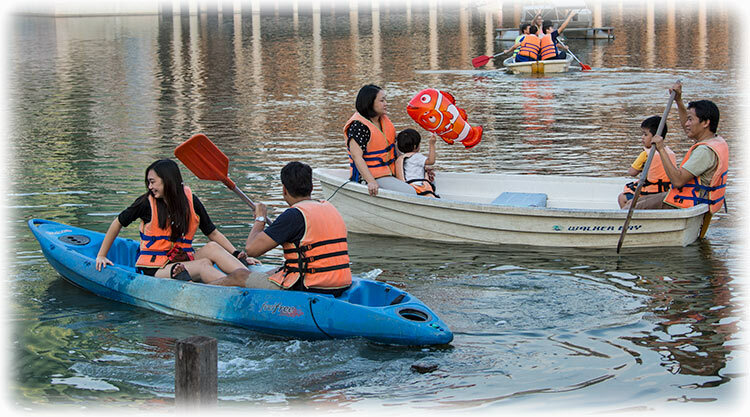 Or way not, rent a rowing boat and enjoy the lake. 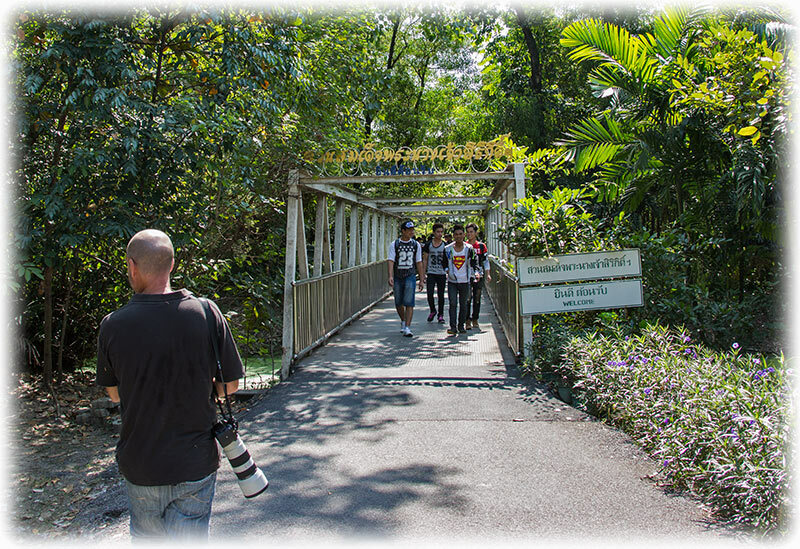 When you come over the bridge to the Queen Sirikit Park there are beautiful gardens and many birds. 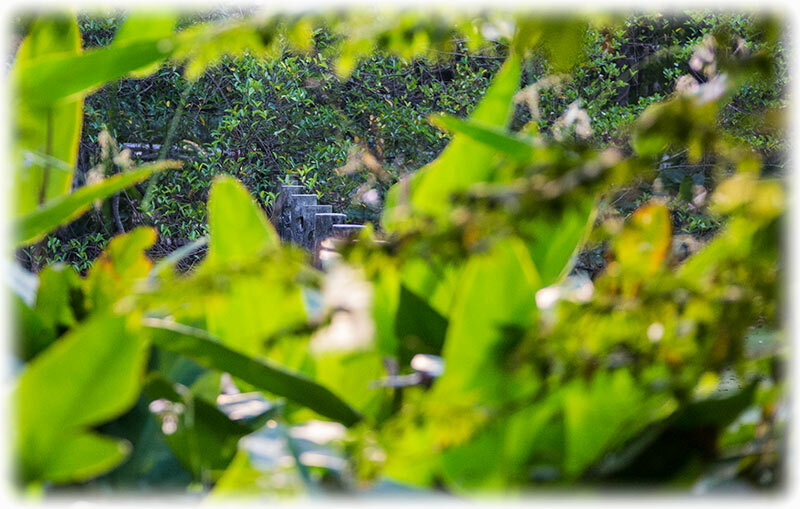 In the Suan Rot Fai Park there is also a butterfly house. 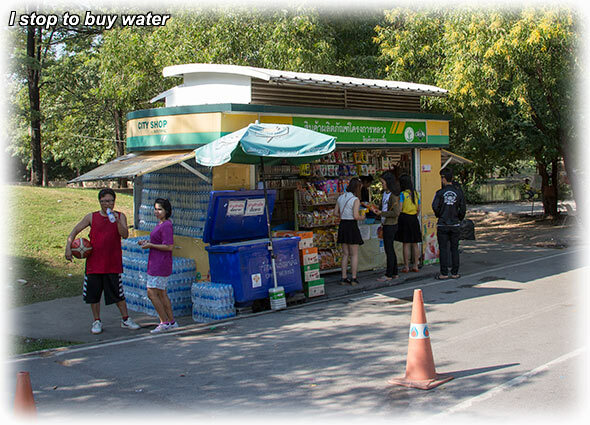 Kiosks and toilets around the parks selling water and refreshments. Don't forget to bring your garbage to the nearest trash bin! Yes, definitely a very good experience and could very easily have been rated if it wasn't for all the garbage they throw around. I spent several hours walking around the park and I can really recommend a visit to the park. 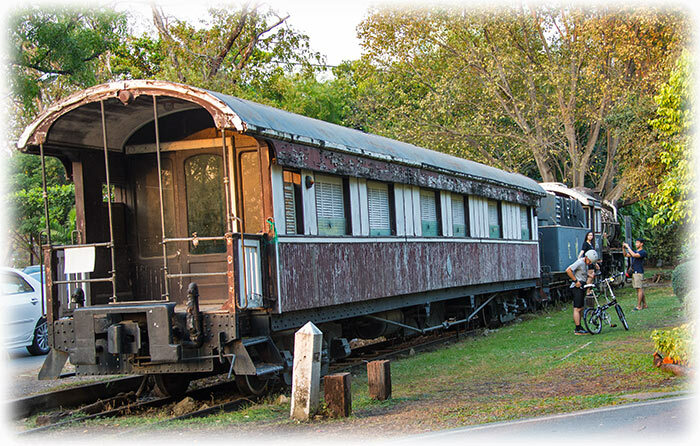 Perfect for birding as soon as you leave the paved tracks. Walk along the ponds even if you have to walk in trash. 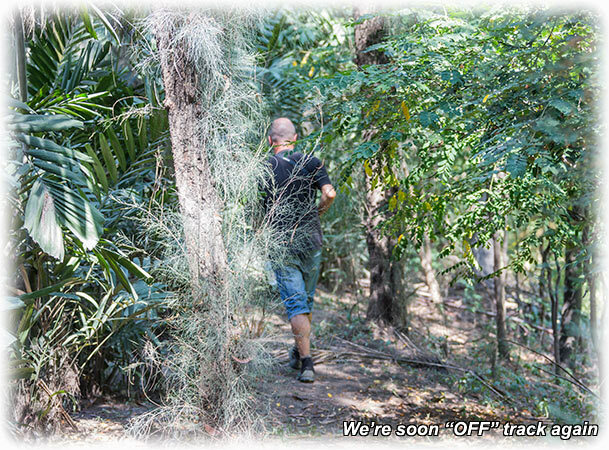 When walking around “off track” it is easy to get a forest feeling. 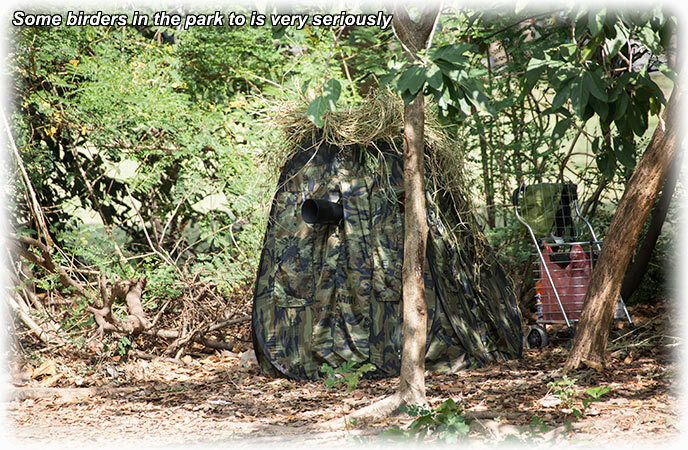 So come on down and enjoy the park, birding or not. 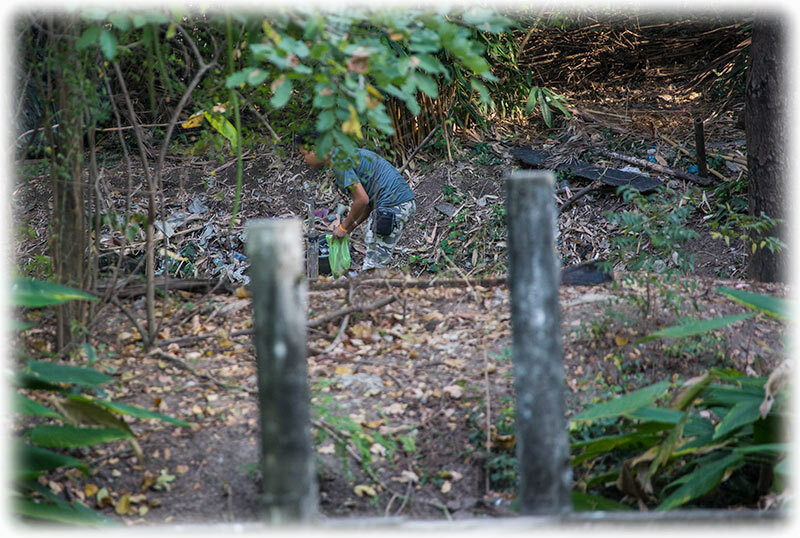 Remember to bring back you trash to a trash bin and try to be as quiet as possible walking “off track” watching the wildlife! Unnecessary to say: Birding is best during weekdays when there is not much people. But during the weekend you meet a lot of Thai birdwatchers and it is nice to have a chat with them. 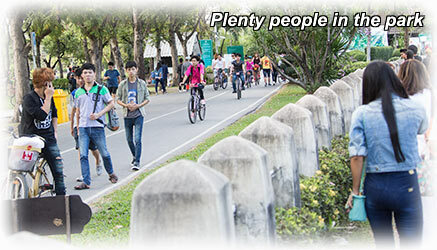 The easiest way to reach Suan Rot Fai is by taking the BTS to Mo Chit or the MRT to Chatuchak Park and from there, hopping on a motorbike for around a 10-minute ride. 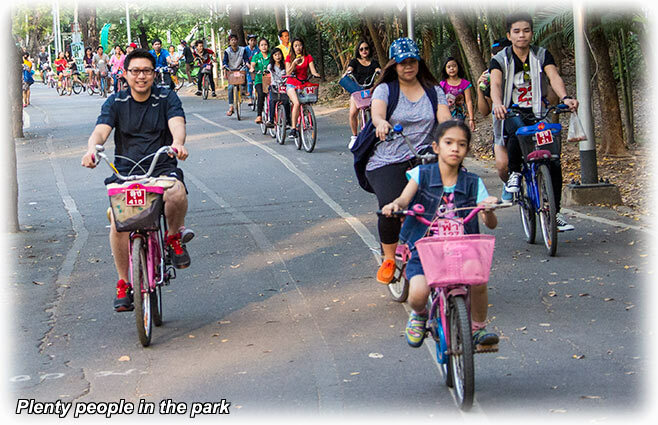 Or, if you’re up for exercise, walk northwest on Phahon Yothin Road through Chatuchak Park, eventually crossing onto Kamphaeng Phet Road. 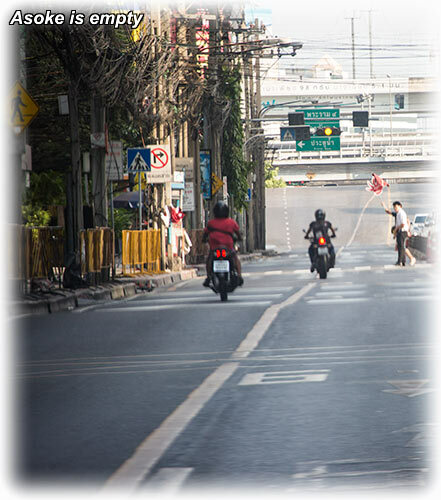 Despite its name, Suan Rot Fai is nowhere near the former Talad Rot Fai – so if you’re unsure, take a motorbike or ask for directions along the way. 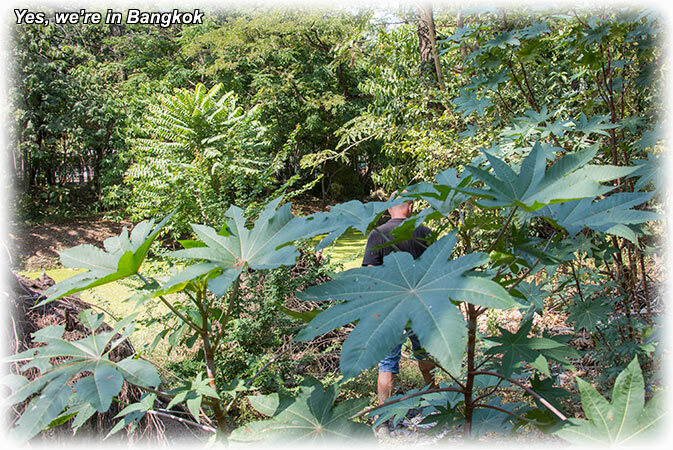 Also check out my new friend's web page for some pictures he took in Suan Rot Fai Park and the Queen Sirikit Park m☥lever. 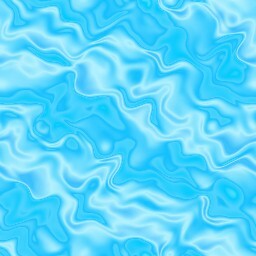 There are some nice pictures for you to enjoy. I had 3 GREAT days in the Rot Fai and Queen Sirikit Parks, much thanks to my new friend that showed me the ropes. Thanks to him I got plenty experience and I know where to look for birds. I learned a lot, and I also learned that my new book, A Photographic Guide to Birds of Thailand by Michael Webster and Chew Yen Fook was pretty much useless. 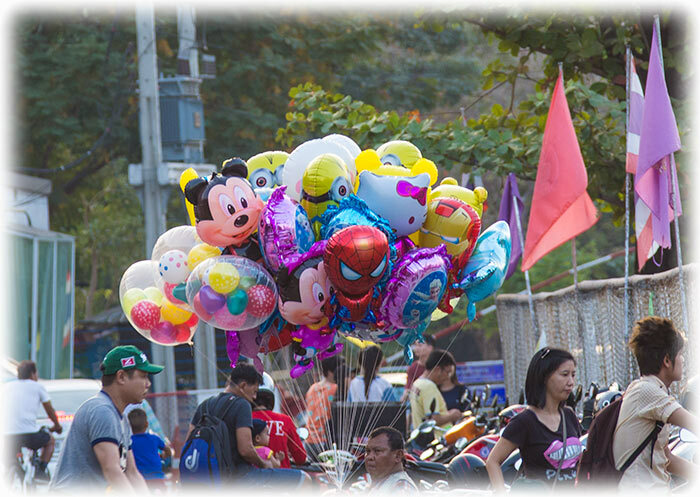 I left Suan Rot Fai and I took a taxi to Central Plaza to buy mosquito repellent. 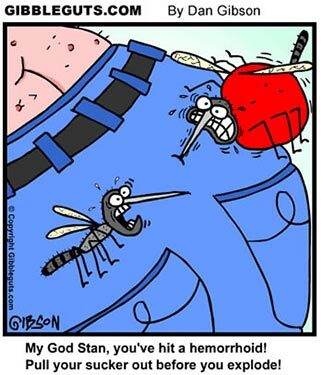 Dengue fever in India and I need some heavy duty repellent. I bought a bag of tropical strength repellent before I took a taxi to a Thai restaurant on Sukhumvit Soi 23. And I have noticed that there are something eating on my legs during our Bangkok birdwatching. 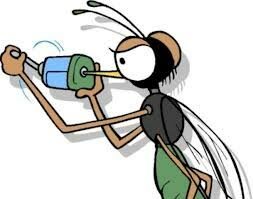 So the mosquito repellent will come in handy when I'm back home in Bangkok for more Bangkok City birding tours. Well, I'm off for more wildlife adventures, next stop India to search for Tigers. But I need to go to the Dentist before the airport as the Dentist found two holes when cleaning my teeth last week. I'm hundreds of years old, never a hole. I gave up snus and now I have more holes than ever before. Maybe take up snus again? You just need to click HERE to find out how it works at a Bangkok Dentist, and of course, will I see any Tigers in India. And don't be surprised to find a few beautiful birds as well.